Why did they only get 5 points for kissing Chris this episode versus ten points in previous episodes? Ugh, I have no idea why I typed that! Both should be 10 points. Thanks for the catch! Changing now. Melanie, as the commissioner in my league, I also feel the pressure! I think that’s totally fair to split the points if you want to do it like that. Do you think that next season the men will vote which Bachelorette they want in the house and send the other one home?! Super awk. Who knows? 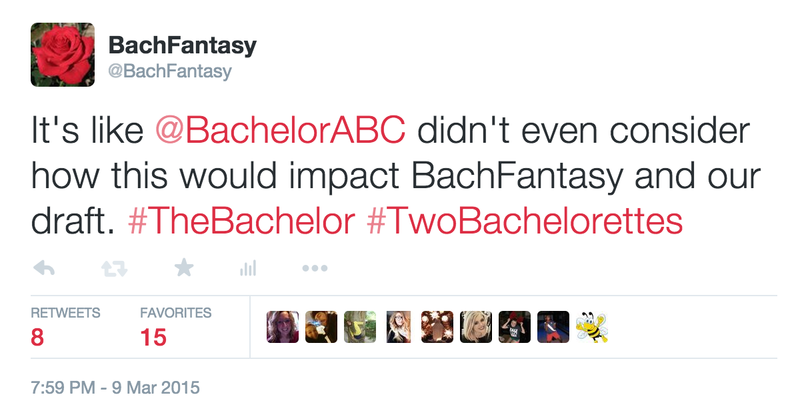 Would you give points for drafting the next Bachelorette only before the mid-season draft, or after, too? My gut says only before. I’m so sorry for the delay in responding. I say before!